It’s football season again! No, not that football, sillies, the other football! It’s time for the MOTHER F-ING World Cup. 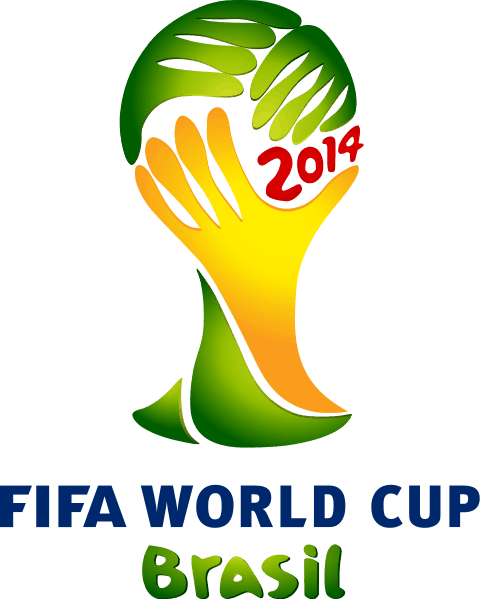 Just like leap years and presidential elections, the World Cup happens every four years (or quadrennially, which an all-around better way of saying it). And now it’s that time again! 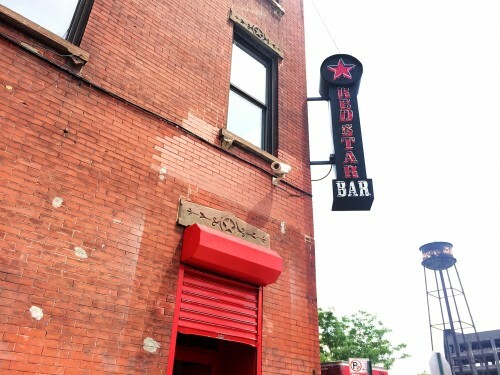 This year the games kick off on June 12th – here’s our World champion rundown list of Greenpoint bars where you can watch, in no particular order. The obvious choice if you want to be more culturally in touch with the World Cup festivities. Right on the corner of Nassau and McGuinness, Raizes offers happy hour from 4-7 daily featuring $4 drafts, $5 well drinks and $5 glasses of wine. Food menu is Portuguese and New England inspired, with a focus on seafood. It’s also huge and cavernous, so rowdy sports fans and more laid back visitors can (probably) co-exist peacefully. I gave a nod to K&L in my last post, the Great Greenpoint Dive Crawl 2014, and as an obvious go-to for everything sports in Greenpoint, they’ve once again made my list. In addition to the ridiculous selection on tap, seasonal beers and drink specials every night of the week, Keg’s got 11 TVs, including 2 in their spacious patio. And of course, like all the best sports bars, K&G’s also got all sorts of classic artery-clogging American fare, like gigantic burgers and 50 cent buffalo wings. 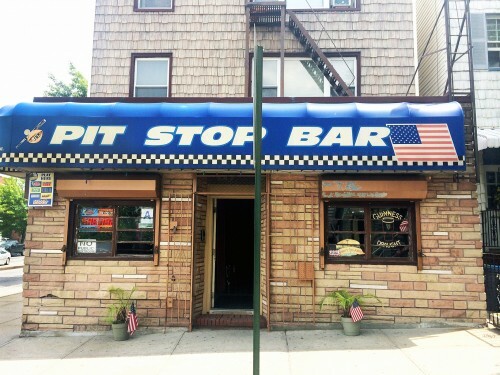 I must give credit also to the Pit Stop Bar, which I neglectfully omitted from my aforementioned Dive Bar Crawl post. Pit Stop is another one of those mysterious little places that looks unassuming, maybe even a bit intimidating, but will pleasantly surprise you once you get inside – it’s clean, cutely decorated with Christmas lights, has flat-screen TVs, is super friendly, and will be showing ALL of the games. Most importantly, Pit Stop has very, very cheap drinks. Plus, that awning is just, well, America in a nutshell. Way down at the end of Greenpoint by the waterfront, this tin-walled, three-tiered former warehouse has received various accolades for being one of the best bars in New York to watch sports, drink beer and, first and foremost, eat wings. Why not feast on wings while celebrating the most popular sport in the world? Or if you’re the obligatory non-sports friend just along for the ride and find yourself getting bored, you can wander down the street to the Greenpoint Waterfront, grab a beer at the Pencil Factory, or indulge in a pizza at Paulie Gee’s. Soccer and bowling have absolutely nothing to do with each other, besides having leagues and utilizing a spherical ball, but that doesn’t mean that the Gutter isn’t a great place to watch the games this year, since they will be showing all of ’em on giant HD screens. The World Cup also coincides with Northside Festival – that means sports, music, film and parties, right down the street from the Williamsburg Waterfront, in what is arguably one of the hippest places in all of New York City right now. 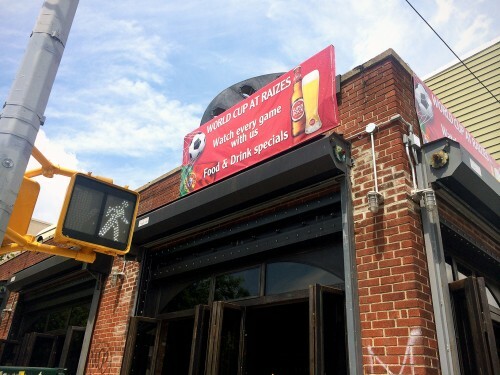 The bar on Franklin “where Brooklyn comes to chill” will be showing all of the World Cup games, and offering pints of $4 Rebel IPA throughout. 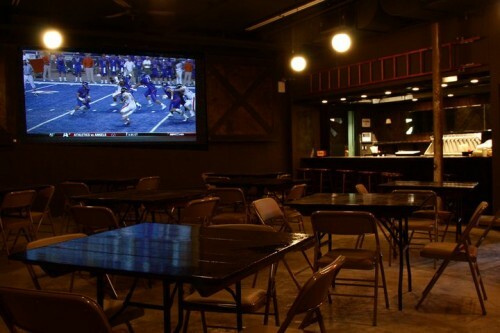 Plus, the space has 4 HD TVs and a giant projection screen, so there’s no way you won’t have the best view of the games. Also, t.b.d. is officially a lounge meaning you can, well…lounge, which is way better than plain old sitting. And if you get bored, there’s always the massive outdoor beer garden and free ping pong, perfect for the longer-than-average commercial breaks. 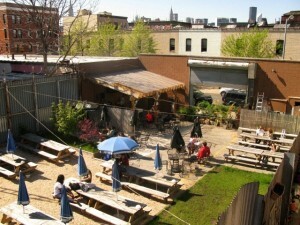 Where are you watching the game in Greenpoint? Give us your suggestions in the comments. I was born in Bay Ridge and grew up in Sheepshead Bay. After living on the West Coast for a few years, I returned to New York and have lived on "The Other Side of McGuinness" since 2010. In my spare time I ride bikes and photograph for my blog, Brooklyn Analog. I love the nature, the food, the people, the houses, the dogs, everything about Greenpoint. I can't imagine living in any other neighborhood in Brooklyn! I think it would be helpful to include the addresses of these places. Another place to add to the list is Dirck the Norseman. The space is huge, the beer flows like water , and they are bringing in a huge projector screen for the cup. Any place that will let your kids in with you? Might just be easier to name the places not showing it. We have so many options this year!